Barn door hardware manufacturer Goldberg Brothers, Inc. has relocated to the Ken-Caryl Business Center in the southwest suburbs of Denver, Colorado. 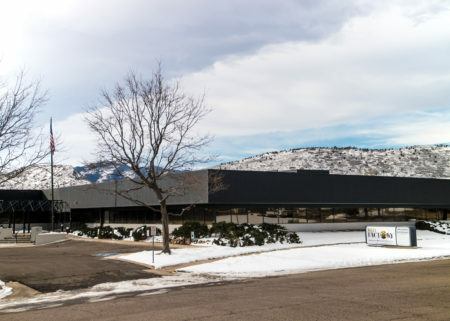 DENVER, Colorado (January 25, 2018) – Barn door hardware manufacturer Goldberg Brothers, Inc., one of the oldest continuously operating companies in Denver, Colorado, has moved into its recently purchased new headquarters in the Ken-Caryl Ranch Business Center, about 25 miles southwest of its longtime home in the Stapleton neighborhood. Prior to the move, Goldberg Brothers also ran an auxiliary facility in Golden, Colorado. Now all company operations are located under one roof. Manufacturing equipment at the new factory includes a custom-made powder coating line from Midwest Finishing Systems. Construction began last summer in Indiana on the large semi-automated system used to wash and paint steel components of Goldberg Brothers’ award-winning barn door hardware. The equipment took nearly a month to transport and assemble in the new building. Golesh said he anticipates a 30% boost in efficiency with the new powder coating system and a 15% reduction in energy consumption compared to the older equipment used at the previous factory. The 95,520 sq ft facility at 10488 W. Centennial Road provides the company with an additional 15,000 sq ft of factory floor space. A large portion of the office space in the building will be leased to other small businesses. Established in Denver, Colorado in 1897 as a family-owned tinsmith shop, Goldberg Brothers has been known for such diverse products as camping stoves, fishing reels, motion picture film reels and other specialty hardware for the movie theater industry. Currently, its primary product line is steel barn door hardware for interior sliding doors, which it sells through a network of wholesale distributors and retail construction supply stores throughout USA, Canada and the Caribbean islands. The company’s new headquarters does not offer retail sales. Please visit goldbergbergbarntrack.com to find a retailer near you.